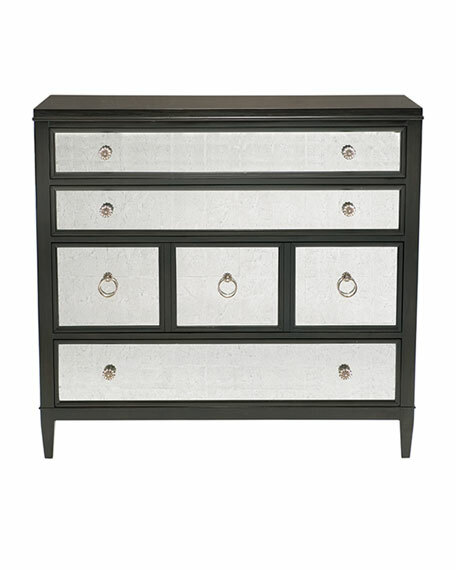 Drawers have inset silver-eglomise-glass drawer fronts. 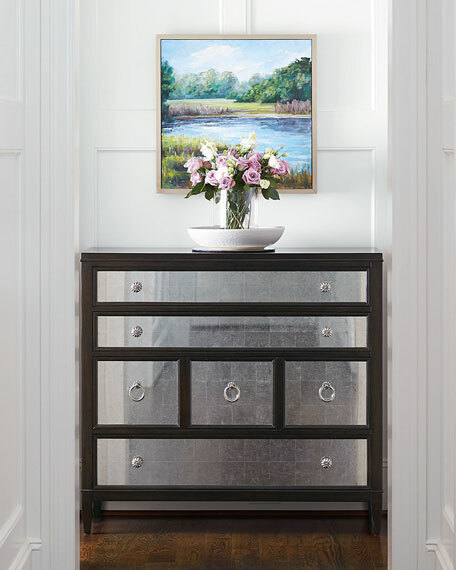 Solid brass hardware with aged silver-leaf finish. Four drawers; third drawer from top has three-drawer facade. 46"W x 19"D x 43"T.